Next year's network late night line-up is finally complete. CBS announced Monday morning that James Corden will be the new host of "The Late Late Show," replacing Craig Ferguson, who announced his intent to step down back in April. Ferguson's show and its lead-in, the iconic "Late Show," remain profitable workhorses for CBS, even as late-night shows suffer declines in overall audience and advertising revenue. Corden, 36, represents generational change for the network, given that Ferguson, 52, has been hosting "Late Late" since 2005. 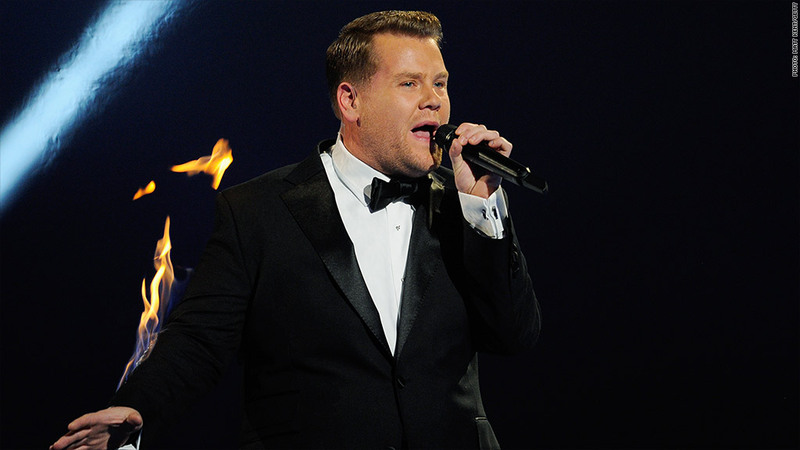 The network's interest in Corden was first reported in August; he'll take over in early 2015. A native of Britain, Corden has a long list of credits on television, in film and on the Broadway stage. "Corden is a rare entertainment force who combines irresistible charm, warmth and originality with a diverse range of creative instincts and performance talent," CBS entertainment chairman Nina Tassler said in a statement. Corden is the last piece of a late night line-up that has been in flux since Jimmy Fallon took over for Jay Leno on "The Tonight Show" last winter. Months later, David Letterman announced that he'd be stepping down from "The Late Show." CBS quickly completed a deal to bring Comedy Central's Stephen Colbert and his Colbert Nation over to the 11:35 p.m. "Late Show" time slot, effective next spring. But the network didn't confirm that the "Late Show" would stay in New York -- and the famed Ed Sullivan Theater -- until it reached a agreement with the state that made CBS eligible for upwards of $11 million in tax credits and $5 million in grants. The network might go through the same process with the "Late Late Show," which is currently produced in Los Angeles. On Monday CBS said "the creative elements, as well as the producers and the location for the Corden-hosted Late Late Show, will be determined and announced at a later date." By picking Colbert to succeed Letterman, CBS was passing over Ferguson -- so Ferguson's subsequent decision to leave the network was not a surprise. But Corden is. He is somewhat unknown to American audiences, but says he's ready to take on the challenge. "I can't describe how thrilled and honoured I am to be taking over from the brilliant Craig Ferguson," Corden said in a statement. "To be asked to host such a prestigious show on America's #1 network is hugely exciting. I can't wait to get started, and will do my very best to make a show America will enjoy." In the United Kingdom, Corden co-created, co-wrote and starred in the BBC comedy series "Gavin and Stacey" (a role in which he earned a BAFTA TV award in 2008). He also had a recurring role in the fan favorite "Doctor Who" as Craig Owens, the Doctor's roommate. And he's not new to hosting: from 2010 to 2014 he hosted the Brit Awards, one of the biggest award shows for the British music industry. In the United States, Corden won a Tony Award in 2012 for best lead actor in "One Man, Two Guvnors."